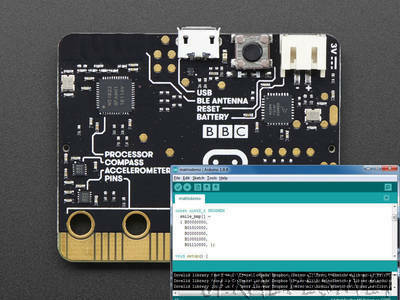 “Did you know that the Arduino IDE can be used to program the micro:bit? Now you have yet another way to use this cool board! Learn how to set up Arduino to program your micro:bit, blink some LEDs, read the internal temperature sensor, send and receive data over Bluetooth - even log data to Adafruit.IO!